The Australian Synchrotron aims to become a national hub for medical and scientific innovation across Australia. The $207 million synchrotron is a source of powerful light that scientists can use to assess the structure of materials at the minute molecular level. It can be used to produce new medicines, allow more accurate forensic examinations, produce more powerful computer chips, find new ways to extract metal from ores, make stronger building materials and monitor pollution. Five State Governments, the Commonwealth and New Zealand Governments, 25 Australian universities, CSIRO, ANSTO and other research institutions have funded the Synchrotron. Eidos is a representative body for eight universities with a focus on public policy. Eidos can engage academic consultants, advisors or teams with specific skill sets. Eidos has the capacity to broker public and private research and policy teams to match research and evaluation needs. Eidos is independent and has streamlined processes with member universities to ensure a rapid response to any request for research, consultancy and project work. The Queensland Compound Library was established to synergise interactions between Australasian chemists, biomedical researchers, and their international colleagues. Chemists can deposit their samples and natural product extracts into Australia's only purpose built small molecule repository. Biologists can select screening sets from the unique suite of molecules on offer. CIRM is an unincorporated joint venture of ten organisations. CIRM acts as a conduit for research by providing flexible, accessible pathways for collaboration and communication among the CIRM partners. Each partner has senior staff members representing their agency at the strategic (Board) level and key staff at the operational (Directors) levels of governance. Both the CIRM Board and Directors meet regularly to progress the work of the partnership, and find synergistic and practical ways to tackle identified priority issues. Astronomy Australia Limited (AAL) is a not-for-profit company limited by guarantee whose members are a range of Australian universities and research organisations. Its core business is to manage programmes which provide astronomers with access to national optical/infrared and radio astronomy infrastructure. Membership to the AAL allows JCU researchers access to many telescopes in Chile and the new telescope in WA (ASKAP), which is under construction with expected first observations to be around 2012. An initiative of the Australian Government, the National Climate Change Adaptation Research Facility (NCCARF) was established in 2007. NCCARF focuses entirely on generating the knowledge required for Australia to adapt to the physical impacts of climate change. The facility is hosted by Griffith University, in partnership with the Queensland Government and seven universities across Australia. JCU has been selected as the host for the Adaptation Research Network in Terrestrial Biodiversity, led by Dr Stephen Williams. The Integrated Marine Observing System (IMOS) comprises a distributed set of equipment, co-operative agreements and data and information services. Collectively they contribute to marine research and other uses in Australia based on data in open and coastal oceans. The elements of IMOS are widely-distributed, coordinated and managed by the IMOS Office at the University of Tasmania (UTAS). The infrastructure is being operated by a range of institutions under agreements with the IMOS Office. JCU operates the Australian Coastal Ocean Radar Network, which deploys and operates radar systems to observe coastal currents. 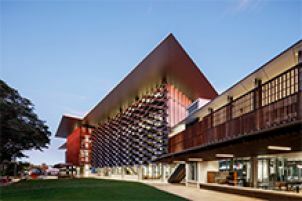 A consortium of Queensland universities formed with the objective to increase the State's innovative capacity through deployment and exploitation of advanced computing and communications infrastructure – supercomputers, high-capacity data archives, visualisation and networking capability. QCIF was closely aligned to (and a formal member of) the Australian Partnership for Advanced Computing (APAC). In moving forward from APAC, QCIF has become a partner in the Australian Research Collaboration Service (ARCS) which is a newly established program that will provide underlying support to Australian researchers across all disciplines. ARCS has been funded by the Federal Government as part of the NCRIS “Platforms for Collaboration” program for a period of four years, and in particular is charged with the provision of the Interoperability and Collaboration Infrastructure. QCIF's infrastructure and eResearch support staff underpin R&D in its member universities, and stimulate uptake of advanced ICT by Queensland's industries. Member universities are University of Queensland, Griffith University, James Cook University, Queensland University of Technology, University of Southern Queensland and Central Queensland University. A non-profit collaboration between twelve Australian Universities and the National Library of Australia providing authoritative information on hundreds of thousands of creative and critical Australian literature works relating to more than 100,000 Australian authors and literary organisations. AustLit is led by The University of Queensland with JCU as one of the contributing universities. AustLit has been generously supported by ARC LIEF funding (2006, 2007, 2009) over the three phases of development. Established under the National Collaborative Research Infrastructure Strategy, the Australian National Fabrication Facility (ANFF) links seven university-based nodes to provide researchers and industry with access to state-of-the-art fabrication facilities. The capability provided by ANFF enables users to process hard materials (metals, composites and ceramics) and soft materials (polymers and polymer-biological moieties) and transform these into structures that have application in sensors, medical devices, nanophotonics and nanoelectronics. The nodes, which are located across Australia, each offer a specific area of expertise. Researchers are able to either work at the node under expert guidance, or to contract for specialised products to be fabricated at a reasonable cost. The Queensland ANFF node is based at UQ and can be accessed by all researchers. The node has equipment and expertise in patterning of polymer and glass substrates, the production of novel substrates for immunotherapy and drug delivery, and the fabrication of microfluidic devices. The node consists of two facilities, the Soft Materials Processing Facility and the BioNano Device Fabrication Facility. The centre for particle characterization at JCU was established with the support of ARC LIEF funding in 2004/05 and allows the collaboration of research activities across several schools. Originally intended to help analyse sediments and sedimentary environments, the centre has been aided in problems across several industries such as metal refineries, sugar industry or coal resource evaluation. The core instruments include: laser particle analyser, CNS elemental analyser, BET instrument, Zeta Probe and Magnetic Susceptibility core logger. This facility was funded under the ARC LIEF scheme in a collaborative arrangement between Griffith University and JCU in 2005. The facility comprises a range of equipment, for use in shallow (nearshore) and shelf environments. It includes: Acoustic Doppler Current Profilers, Acoustic Doppler Velocity meters, CTD’s with Nepholometry, an in-situ sediment sizer, underwater releases, a small-boat mounted hydrographic survey system, and a QTC seabed discrimination system. Items in the facility are available to other researchers. A price list can be obtained by contacting Dr Kevin Parnell. The library is located at the University of Wollongong, an international leader in oceans law and policy research, through the Centre for Maritime Policy. 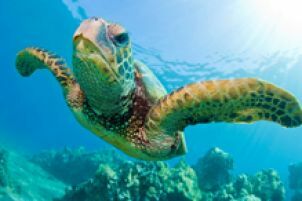 JCU partnered with the University in a 2005 ARC LIEF grant, facilitating interdisciplinary work in oceans law, policy and science. A library facility was developed providing a comprehensive collection of international and domestic materials in ocean law and policy. JCU has online access to several databases in the facility: Westlaw; LexisNexis; United Nations Treaty Series. In 2004 JCU was awarded an ARC LIEF grant for molecular diagnostics based on real time polymerase chain reactions for emerging tropical infectious diseases. The equipment is used in a wide range of projects that require the detection of specific RNA or DNA. It allows rapid, cost effective and efficient processing of either RNA or DNA from large numbers of samples. The facility uses the technique of real-time polymerase chain reaction to rapidly detect and quantify the organisms associated with emerging and re-emerging infectious diseases of man and animals. The University of Queensland was awarded an ARC LIEF grant in 2009 towards this facility. JCU was a partner in the grant and has access to this facility. It is a state-of the-art vibrational sum-frequency generation facility for in-situ study of adsorption and structures at particulate (gas-liquid, liquid-solid and gas-solid) interfaces. The facility will service the multi-disciplinary collaborations in interface science and engineering between researchers at the Universities of Queensland, Newcastle and South Australia, Curtin University of Technology and James Cook University. The results will place Australia in the forefront of research in adsorption and interaction of ions and molecules with the interfaces involved in the processing industries. The University of Newcastle was awarded an ARC LIEF grant in 2007 for this facility. JCU is a partner in the facility. The Multi-Node National Microfluidic Facility supports micro/nano fabrication, and development of new diagnostic tools for microfluidics applications. It fosters a range of microfluidics-based research across the country. JCU has access to a range of fabrication resources necessary to design novel microdevices for microfluidics applications. Microdevices have applications in spraying of materials in engineering, precise delivery of tropical medicines and drugs, micro-devices for remote tracking, studying and conservation of tropical wildlife, novel sensor and analysers for geological samples, and in complex lab-on-a-chip devices. In 2007 JCU was awarded an ARC LIEF grant to develop a unique microwave characterisation facility to precisely characterise advanced materials such as dielectrics and superconductors for emerging technologies. The main partners of this collaborative facility are the University of Western Australia, Massey University, New Zealand and Warsaw University of Technology, Poland. The facility is capable of characterising all types of electronic, magnetic and biological materials. This facility is beneficial to engineers, material scientists, physicists, geologists, biologists and medical scientists. The facility aids development of many advanced materials and novel devices for the electronic and communication industries. The facility offers non-destructive characterization of materials in the visible, ultraviolet, infrared and microwave regions in the temperature range -2690C and +1500C. JCU contributed to an ARC LIEF grant in 2004 led by the University of Melbourne to establish a new national capability for sophisticated airborne remote sensing in hydrologic, atmospheric and oceanic research. Specifically, the equipment measures soil moisture content under low to moderate vegetation conditions and coastal ocean salinity at 50m resolution using a low-cost light aircraft as the platform. The PLMR is maintained at the University of Melbourne in the School of Engineering (contact Dr Jeffrey Walker). Funding for the Beckman-Coulter Cyan was awarded to JCU in 2006 through the ARC LIEF scheme for an Analytical Flow Cytometry Unit. The instrument is used to investigate for example, the phenotypes of single-cell organisms such as algae and the cellular activation in mouse models of disease. Meanwhile, flow cytometry is a major technology that has applications in almost all aspects of biological sciences. This facility provides cell analysis equipment to the scientific community at JCU. A NCRIS funded network, the TERN provides consistent collection and management of time-series data sets and modelling facilities for terrestrial ecosystem research. It includes a set of dedicated observation sites, standardised measurement methodologies, equipment and data, and information services. There are more than 60 research collaborators from universities and government directly involved in the TERN. The Rainforest Biodiversity Node with sites in Far North and South East Queensland is coordinated by James Cook University. A Commonwealth funded program designed to support strategic primary health care research. The strategy addresses key health priorities and harnesses expertise across disciplines and institutions. The PHCRED Queensland Collaboration links 5 Universities: Bond University, Griffith University, James Cook University, Mount Isa Centre for Rural and Remote Health and The University of Queensland. PHCRED Queensland delivers educational activities to build research capacity in teams and individuals working in primary health care services. The PHCRED collaborates with State Health and non government organisations to review research priorities to improve the health of Queenslanders.